Hi girls, welcome back! Have you considered a peacock theme for your wedding or sangeet? Sounds fun, right? While some couples may use something as simple as a color palette as the guiding principle for their wedding day, many others choose something very specific like a Hawaiian theme or a Victorian theme for their big day. 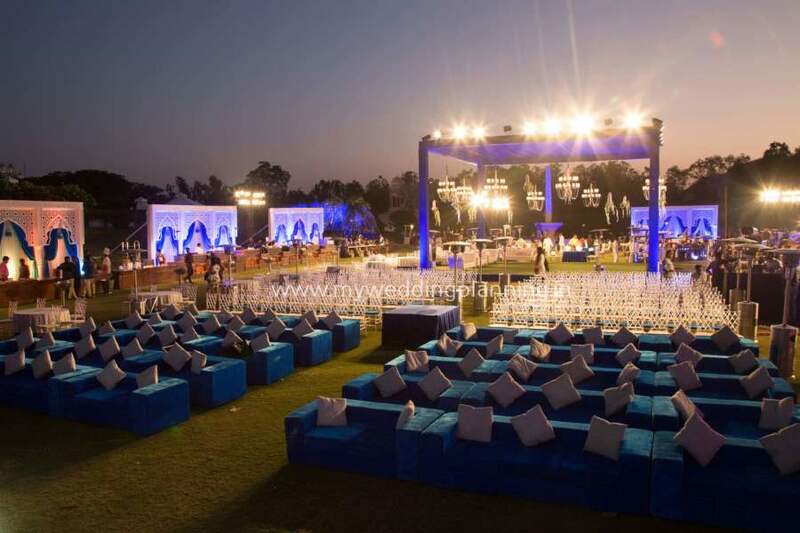 Wedding themes are getting more and more popular as couples are not afraid to experiment with innovative ideas to make their special day personal and absolutely unique. Here are some super cool ideas if you have your heart set on a peacock theme for your wedding day. Your theme not only has a direct impact on the look of your wedding but also sets the tone and colors play the most important role. Use 2 or more shades such as peacock blue; cobalt; magenta; aubergine purple; turquoise; sea green; lime green or gold in your drapery, linens and backdrop for an ultimate wow factor. If you are not able to find these colors for your drapes, compensate by using uplighting in one or more such colors. 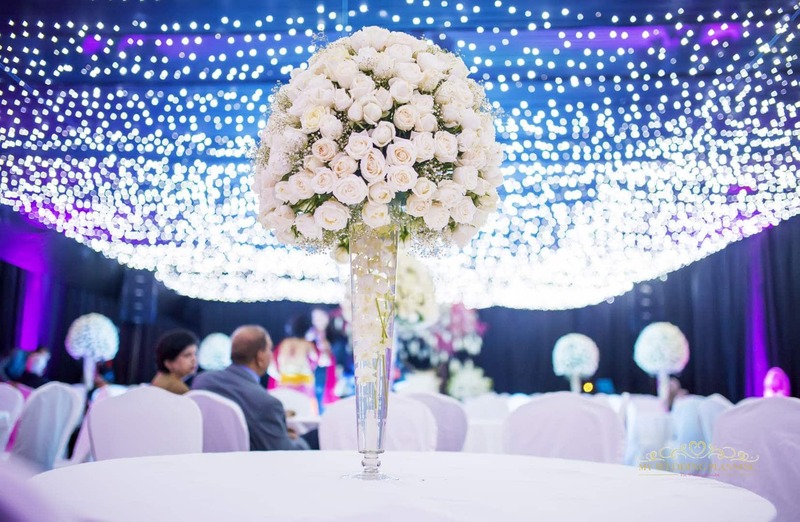 Use huge floral peacocks made of white roses and white and purple orchids at the entrance of your venue to enchant guests as soon as they enter your venue. The easiest way to hint at what is in store for your family and friends when they attend your wedding is by designing an invitation card in accordance to your theme. Ask your stationer to add some peacock motifs and design elements in your invitation card and opt for an appropriate colour scheme for the invites as well. An easy (and cheap!) way of adding to the glam factor is by getting someone from the decorators end to draw a fun peacock rangoli at the entrance of the event or near your stage. This will catch attention and be a great highlight to your theme. If you dare to go completely glam and let your peacock theme be something your guests will never forget, then add some pretty peacocks as your table centrepieces. MAYBE PEACOCK DESIGNS ON THE CAKE AS WELL! Now this might be over the top, but what the hell, it’s so chic!!! What do you think about this theme? If you need help in executing this theme, or have any questions/comments please feel free to mention them in the comments section below.